The Fund for Innovation provides support for experimental and unconventional projects that have the potential to create lasting, positive change and strengthen Middlebury's educational experience. The Spring 2019 deadline was February 28, 2019! Fast-Tracks are accepted on a rolling basis during the academic year; please apply by May 1, 2019. 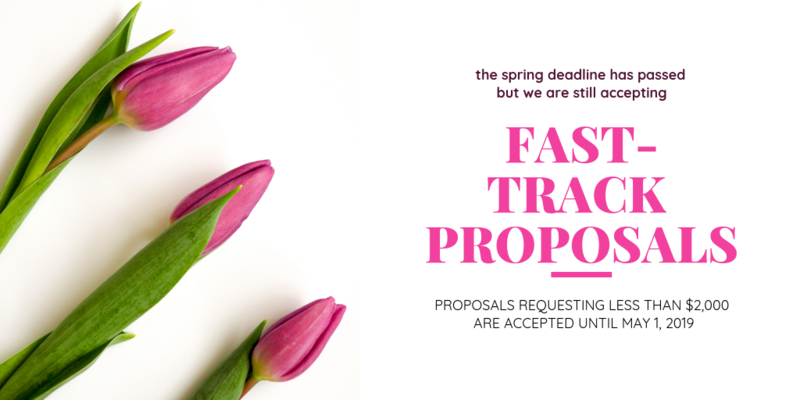 Fast-Track proposals request $2,000 or less. Learn more about the Fast-Track submission process here. Questions? Email us at FundForInnovation@middlebury.edu.